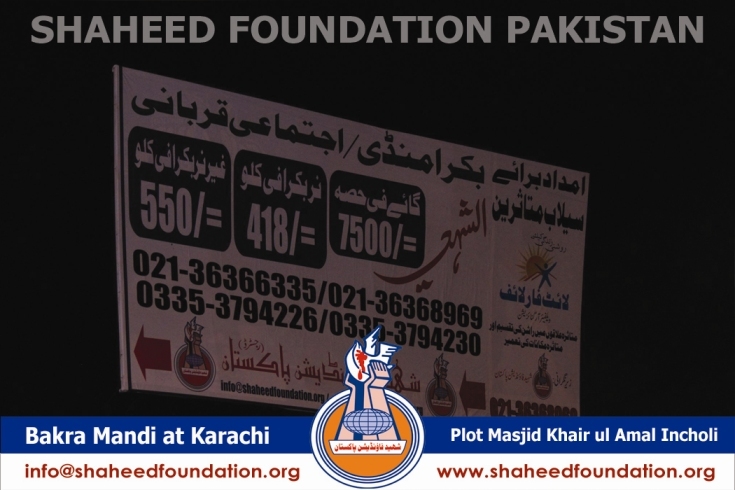 Shaheed Foundation Pakistan will organize contributed sacrifice and Bakra Mandi for momineen in Karachi, income from this project will be used for the welfare and betterment of families of Shohada. 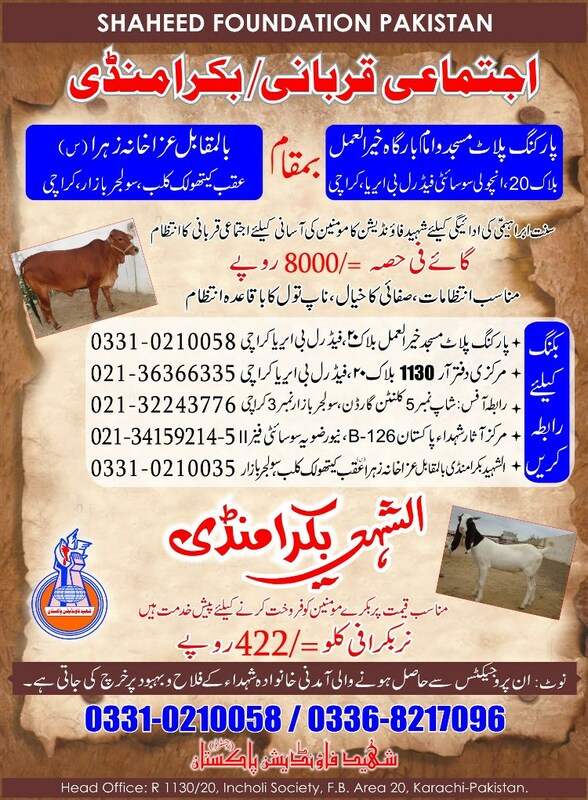 You can book for contributed sacrifice (cow) in Karachi, amount for each part is Rs. 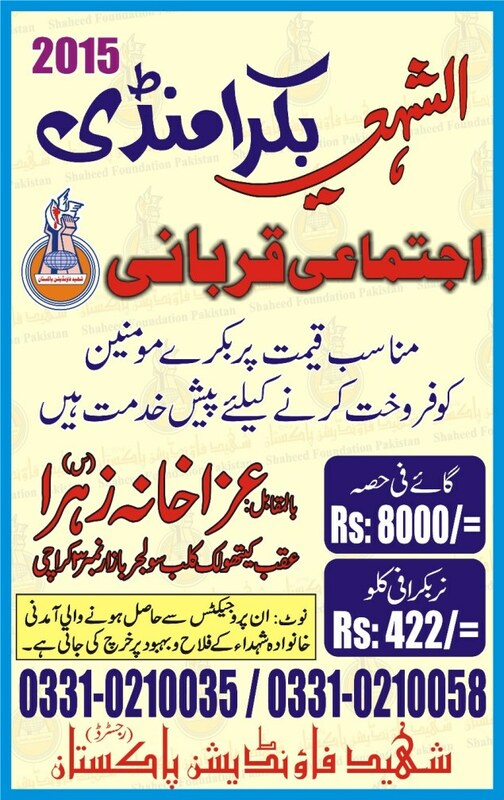 8000/- only. 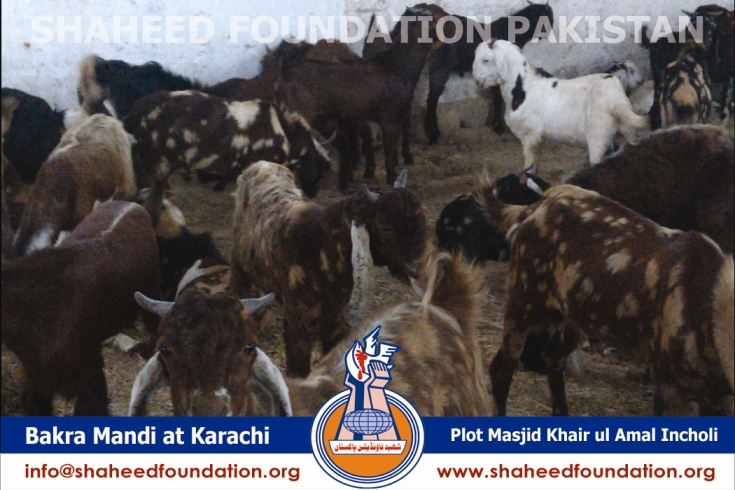 In Bakra mandi, goats are available at Rs.422/- per Kg. 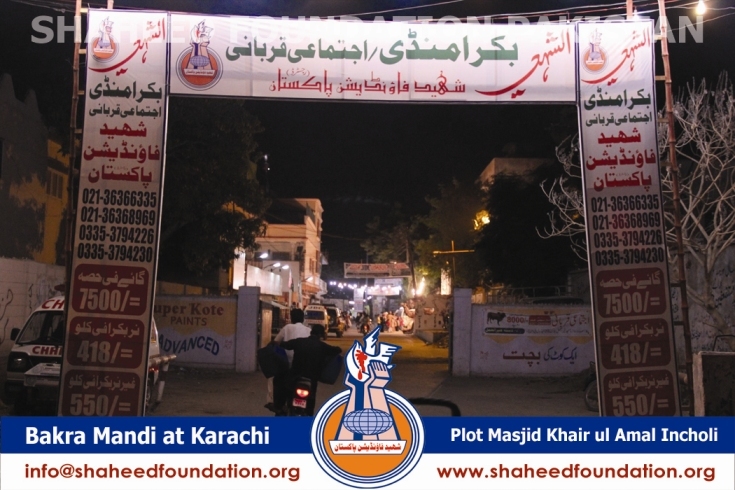 Point 1: Parking plot of Masjid Khair-ul-Amal Block 20, F. B. 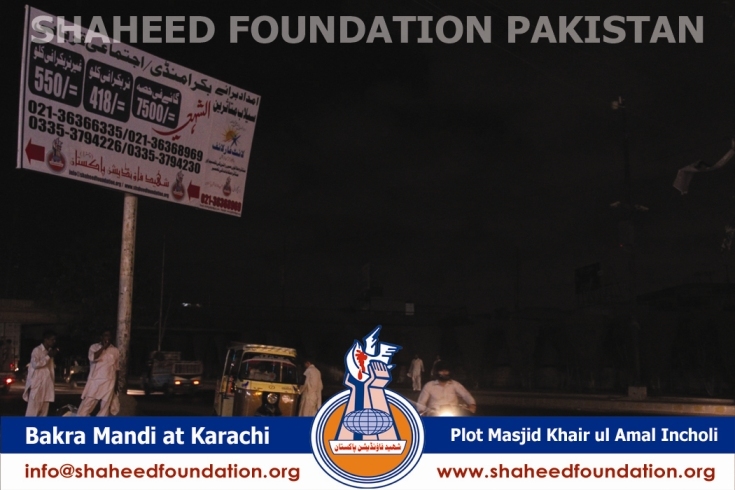 Area, Karachi.